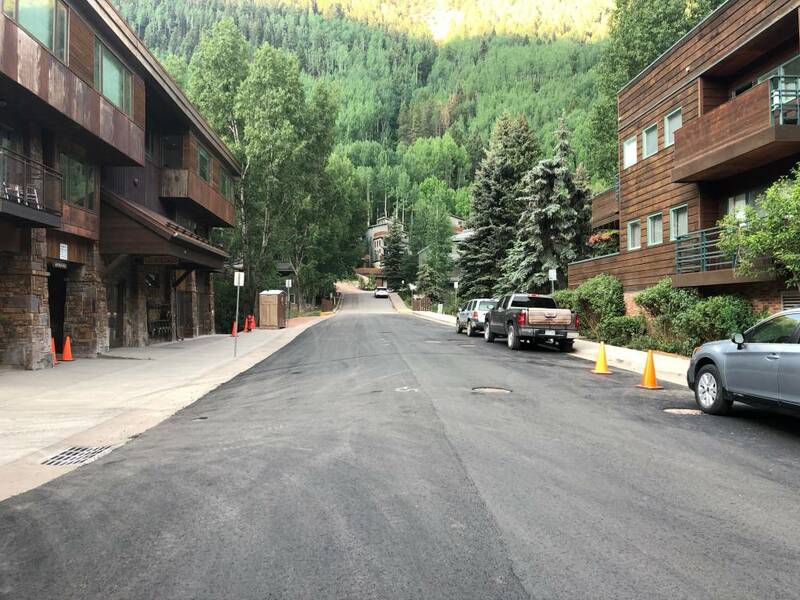 With the onset of the summer-season, construction crews have finished working on improving and repairing the southern part of pine street leading to the Bear Creek Trail. 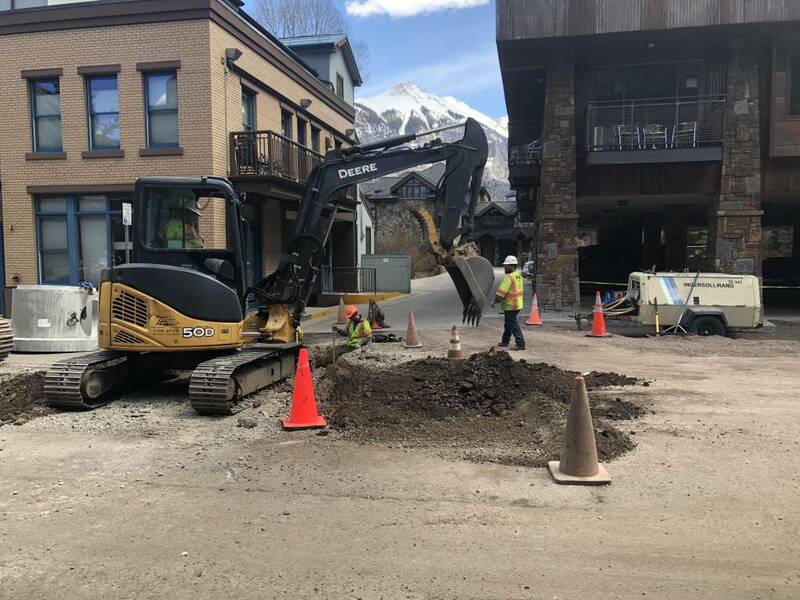 The work, which began two months ago, was finally completed on June 17 2018 with the installation of a new street light on the southern corner of the Ballard House South condo complex. 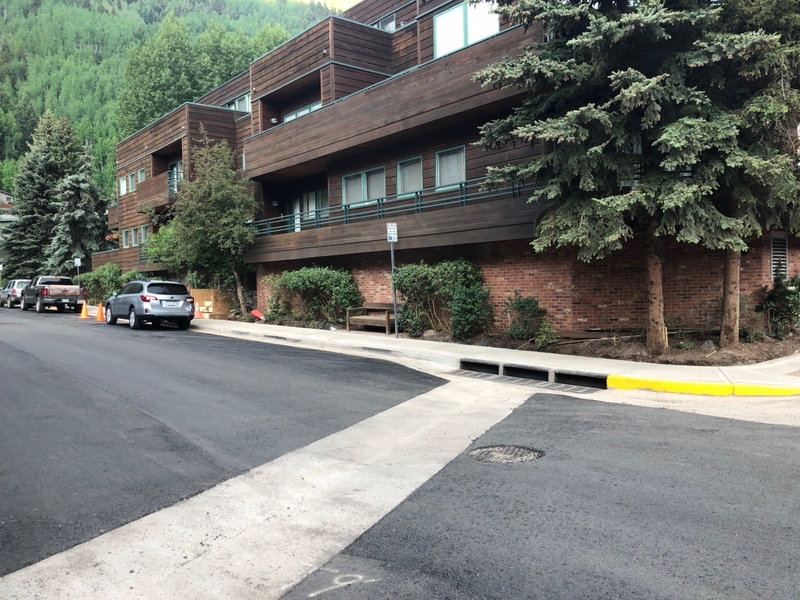 The project encompassed the much needed improvement of Pine Street’s drainage system and a new extension to the sidewalks between the Ice House condo complex and the bridge leading to the Bear Creek trail, as well as, a new sidewalk for Ghost Riders condo complex leading to the Town of Telluride’s River Trail.